Just had to let you know that I did a first aid course today for my other jobs. Whilst the tutor had amazing anecdotes to tell us and truly disgusting pictures of accidents, plus he had done a frightening number of resuscitations for adults and children, you were SO much better at actually teaching basic resuscitation techniques! Thank you and also thank you so much for the course. Although we had done this recently I was dreading having to do it again, however you really made this day really interesting and really enjoyed being on the course. Thank you so much. Really enjoyed this course, it has enabled me to develop and enhance my skills and abilities. Excellent Course, throughly enjoyed it. Great Lecturer, kept classes interesting engaging and informative. Dave was a great tutor. Very thorough with his delivery of the course and content. A very good educator. 5 Stars! Dave provided a very well organised and presented course. A really good balance between theory and practice. I feel confident I could actually help out if need be. The course was very, very informative, clear and precise. Dave was patient and very helpful and now I feel equipped to confidently exercise all information given. Very happy overall, well delivered and explained in a fun way. 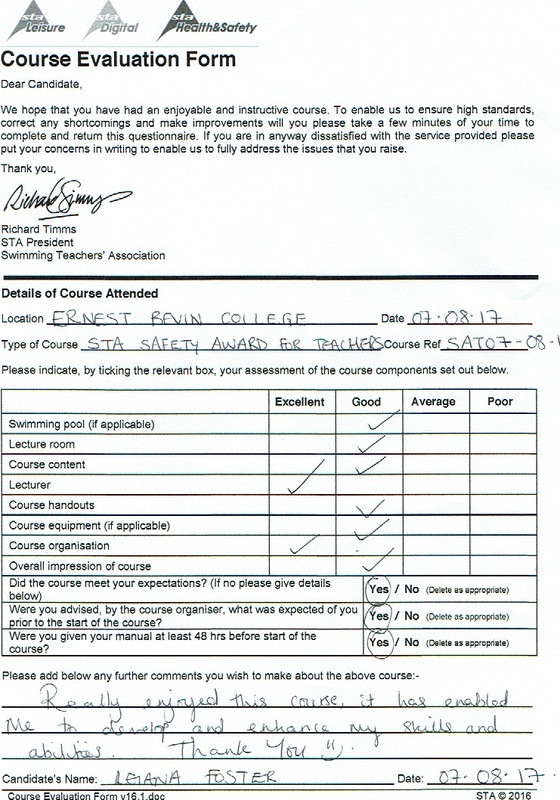 Having been to various STA courses, Dave (Dave Perry) was an excellent tutor. Very positive and very helpful. Thank you! The course organiser (Dave Perry) was excellent. An excellent, enthusiastic and supportive tutor. Thanks Dave! I really enjoyed this course, Dave is a fantastic teacher. 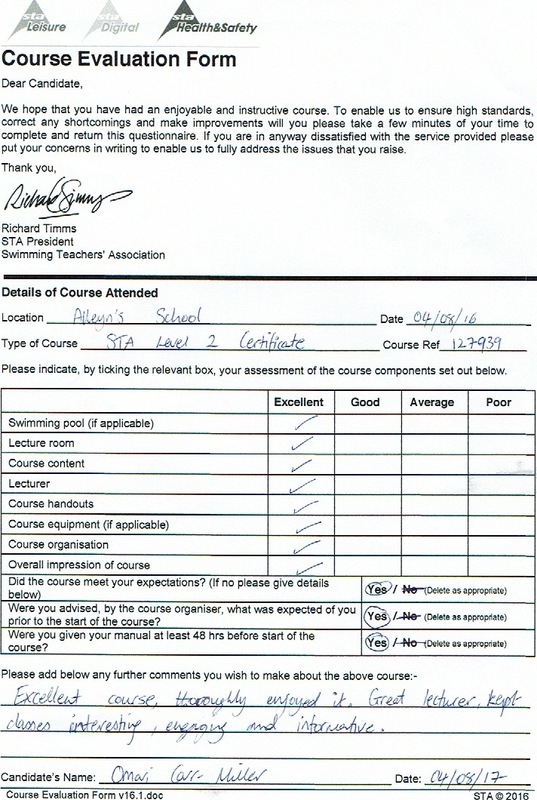 I feel much more confident in my own abilities as a swimming teacher and a swimmer! Lecturer Dave Perry was great and kept lectures interesting by being very energetic, clean, moderately paced and made sure to include all students in discussions. Lecturer was outstanding. Answered all questions I had with enthusiasm. Humour added which allowed for great learning. Overall a great course.